During my first visit to Serbia way back in 2011 I visited Belgrade on a whistle stop tour from West to Eastern Europe. Knowing that I would pass through Serbia again on my latest European venture, I knew immediately that I wanted to venture outside of the capital this time. 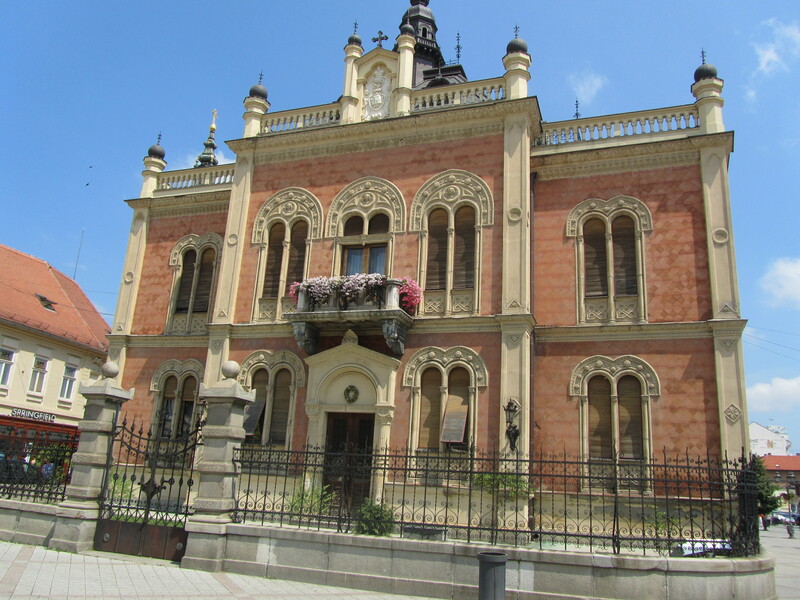 I only had 2 days spare to do so, which again did not leave me much time, so I decided to visit nearby Novi Sad – around 1.5 hours by train from the capital city Belgrade. Possibly one of the coolest streets I have visited in Europe when it comes to the bar & restaurant scene, Laze Telečkog is one of the best areas in the city for going out at night. 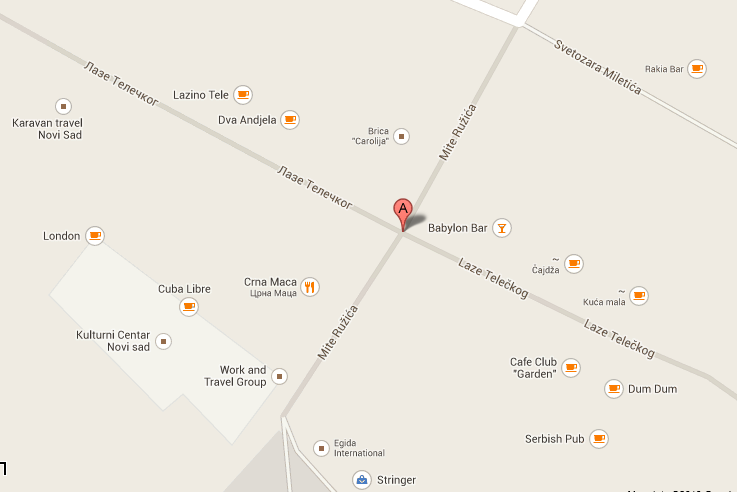 It also happened to be exactly where Lazin Hostel, my accommodation, was situated. (Which for the record was also a rather amazing hostel!) The street just has a really bright, laid-back, and independent café-culture-type-vibe that I really clicked with. There were lots of little restaurants, cafes, pubs, and basement bars all sprawled out with chairs and tables on this little narrow street and those which crossed it. Unfortunately, as seems to be my habit on this trip when I’m having fun, I totally forgot to take pictures! This has become somewhat how I know I’ve enjoyed a place. I’m too busy having a good time to remember to do some picture taking! 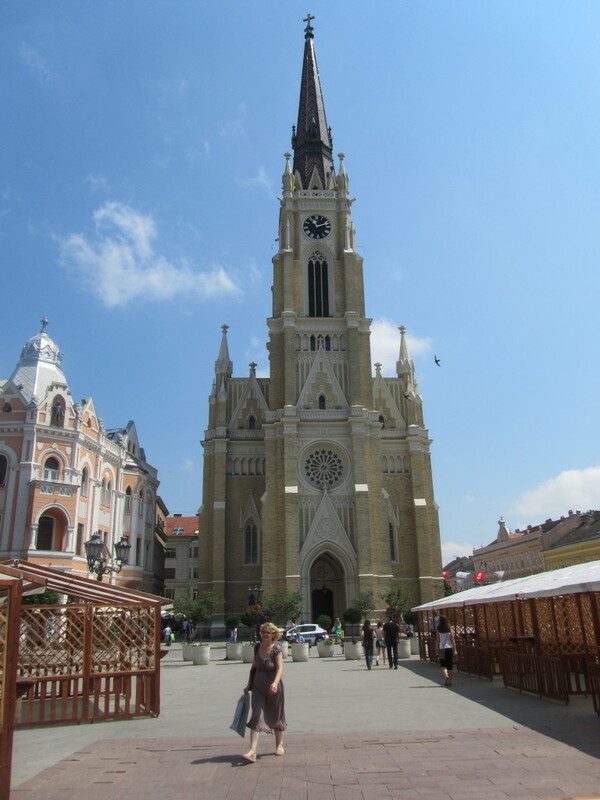 Novi Sad is an extremely affordable destination. It’s cheap to eat out here, to drink out, to ride public transport, to stay at your accommodation, and for pretty much everything else… For example, a large beer typically cost around 150 RSD (£1.15 / €1.32). In a more expensive bar you may pay around 180 RSD (£1.37 / €1.58). A gyro kebab cost me around 200 RSD (£1.52 / €1.76). To go one journey on the bus it’s 45 RSD (£0.34 / €0.40). By sheer chance I happened to arrive in Novi Sad just prior to the commencement of EXIT Festival, a summer music festival held in the Petrovaradin Fortress every year in July. Acts such as David Guetta, Snoop Dogg, Bloc Party, The Prodigy, Fat Boy Slim, Nick Cave, Franz Ferdinand, Pet Shop Boys, Iggy Pop, White Stripes, Placebo, and the Beastie Boys have played here (as well many more famous bands/musicians/artists). The atmosphere in the town is naturally pumped up during this time with lots of young travellers and festival goers. Ticket can be purchased from the official EXIT Festival website starting from around £155 / €138 per person for 5 nights. 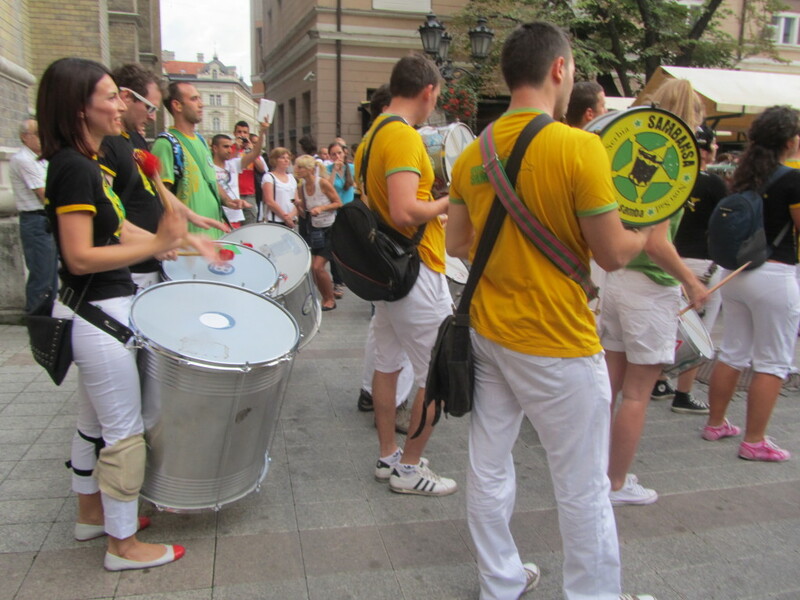 However, even if you’re not going to the festival, there is still very much a festival atmosphere in the old town surrounding the square throughout it’s entirety with lots of cultural performances. 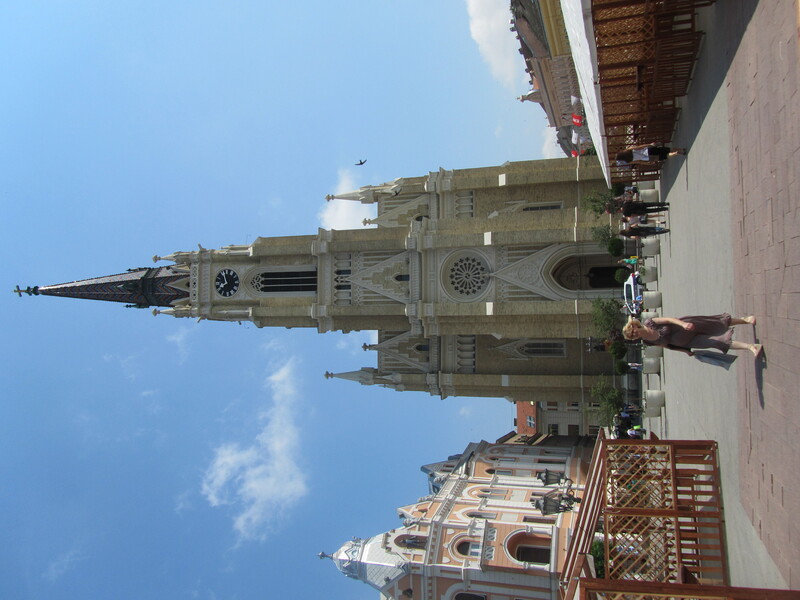 Unlike nearby Belgrade, Novi Sad is (in my opinion) much more beautiful, i.e. in the old town. The main square, town hall, cathedral, little cobbled streets, and surrounding architecture of the pedestrianized old town centre are really quite charming. Once you delve outside of the Old Town Centre it’s not quite so idyllic, but in this particular part of the city it is a really nice setting to simply be surrounded by. One thing in particular that really stood out to me while I was in Novi Sad was how friendly and helpful the local people were. Every time I went into a shop, bar, café, or restaurant, people made a real effort to talk to me beyond what you would expect. Even when their English wasn’t so good (and my Serbian was pretty much non-existent) they still tried and wanted to ask questions about where I came from, why I was in Novi Sad, and were keen to give me recommendations for the city. I stood out like a sore thumb at times as a tourist here as I wandered around trying to decipher street signs in the Cyrillic alphabet, but the people were always very helpful when I needed help or directions. In fact, it’s one of the most endearing things about the place. – If you liked this article you may also be interested in reading my article discussing whether it is safe or not to travel in Serbia. Those crazy festivals are lots of fun. Particularly the ones no one seems to know about, which Eastern Europe has all over the place. I missed Exit, but I made a habit of checking tour schedules for bands and other performers to see if I’d be in the same place, and found myself in a few massive festivals without even realizing they’d be so big. Good times.